Huawei and Google have introduced a truly premium device that is 100 percent Android, integrating the newest OS, Android 6.0 Marshmallow. “We're excited to partner with Huawei to introduce customers to Nexus 6P, our most premium phone yet and Android 6.0, Marshmallow, our most polished and highest-performing OS ever." Said Hiroshi Lockheimer, VP Android, Chromecast and Chrome OS at Google. The Nexus 6P is beautifully designed with an elegant all-metal unibody. Crafted from aeronautical-grade anodized aluminum with diamond chamfers encircling its edges, the sculpted back of the phone accents the low-light-loving, fast-movement-capturing camera. Built on a foundation of power Nexus 6P features a 5.7” WQHD 518ppi AMOLED display perfect for playing games, watching movies and getting work done in stunning clarity, and front-facing stereo speakers for crisp, clear sound. With the latest version of the octa-core Qualcomm® Snapdragon™ 810 v2.1 processor under the hood, Nexus 6P delivers great performance, and the 3450mAh battery keeps you talking and texting from day to night. * With the reversible USB Type-C port, there's no more guessing which way is up. * The included Type-C fast charger gives up to seven hours of battery life from a 10-minute charge. * All battery life claims are approximate and based on an average mixed use profile that includes both usage and standby time. Actual battery performance will vary and depends on many factors including signal strength, network configuration, age of battery, operating temperature, features selected, device settings, and voice, data, and other application usage patterns. Nexus 6P has the best all-around camera. The Nexus camera is great for outdoor photography, but where it really shines is in conditions with less-than-ideal lighting. The larger 1.55um pixels capture more light even in the dimmest conditions to produce stunning details and sharp images. 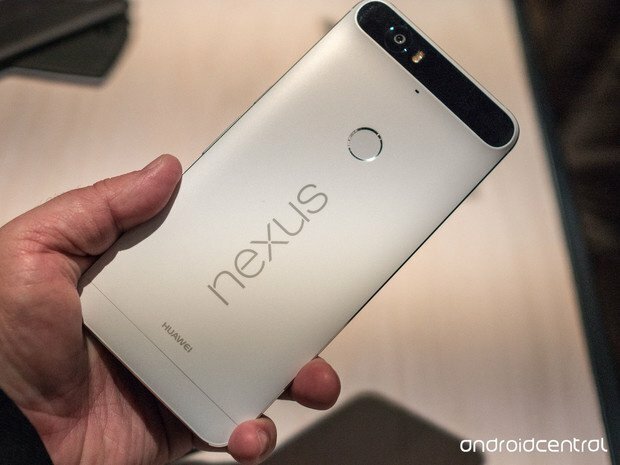 Nexus 6P is also capable of recording 4K and high-frame-rate slow-motion videos. With a faster Google Camera app, you never miss a moment, and with the smart Google Photos app, your memories are easy to relive and always at your fingertips. Nexus 6P also features an 8MP front facing camera with Google’s innovative HDR+ technology, making it one of the best selfie cameras in the market. Your Nexus is quicker and more secure with Nexus Imprint. Placed on the back of your device to complement the way you naturally hold it, one touch will turn on your phone and unlock your apps for smooth, easy access. Built from the inside out to make the most of the world’s most popular OS, Nexus is the ultimate Android experience. You’re always among the first to receive software updates. * And you’ll have the freshest, fastest version, Android 6.0 Marshmallow, working for you right out of the box. The Nexus 6P will be available in more than 30 countries including the U.S., Canada, Germany, the UK, Japan, Australia and India.